It was a thing of beauty, but the software made it magical. It’s easy to ignore how intuitive it is to use an iPhone. But a team of designers painstakingly crafted the vast array of simple swipes and taps that give the iPhone its magic. This week on The CultCast, we’ll tell you the stories behind inertial scrolling and Swipe to Unlock. 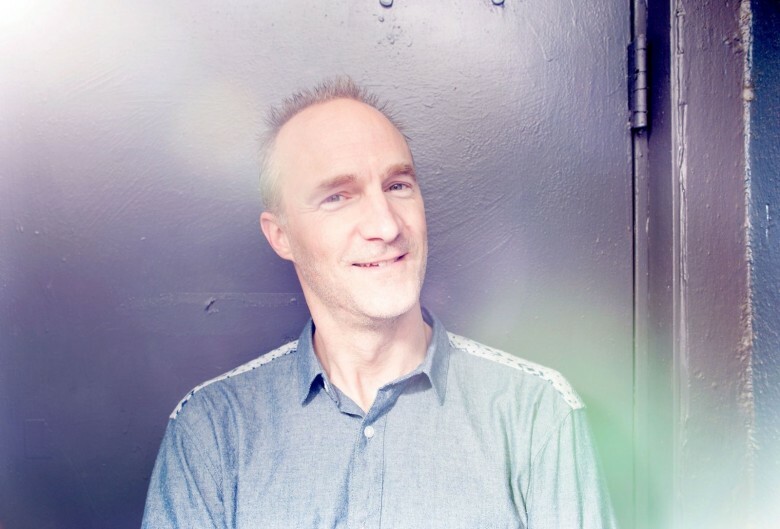 And we’ll talk about Bas Ording, the man who brought iOS to life using the physics of our natural world. Our thanks to Squarespace for supporting this episode. It’s simple to accept Apple Pay and sell your wares with your very own Squarespace.com website. Enter offer code CultCast at checkout to get 10 percent off any hosting plan. Get behind-the-scenes stories from the quest to create a world-changing gadget. It’s hard to put into words the iPhone’s massive impact on society over the past decade. But we tried! 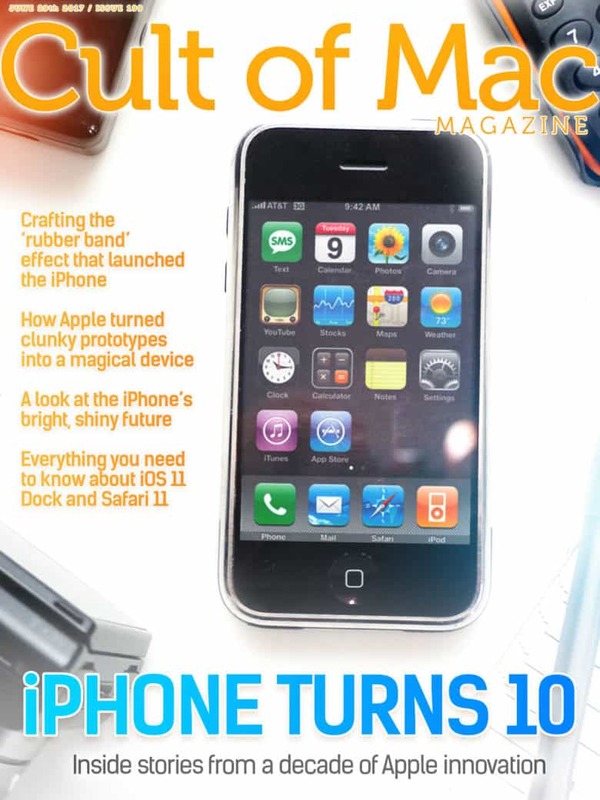 In this week’s Cult of Mac Magazine, we’ve rounded up our best coverage (including stories from our collaboration with Wired UK) of the iPhone’s 10th anniversary. We’ve got insider stories about the development of breakthrough iPhone features, ultra-rare iPhone prototypes and much more for your reading pleasure. Get your free subscription to Cult of Mac Magazine from iTunes. Or read on for this week’s top stories. 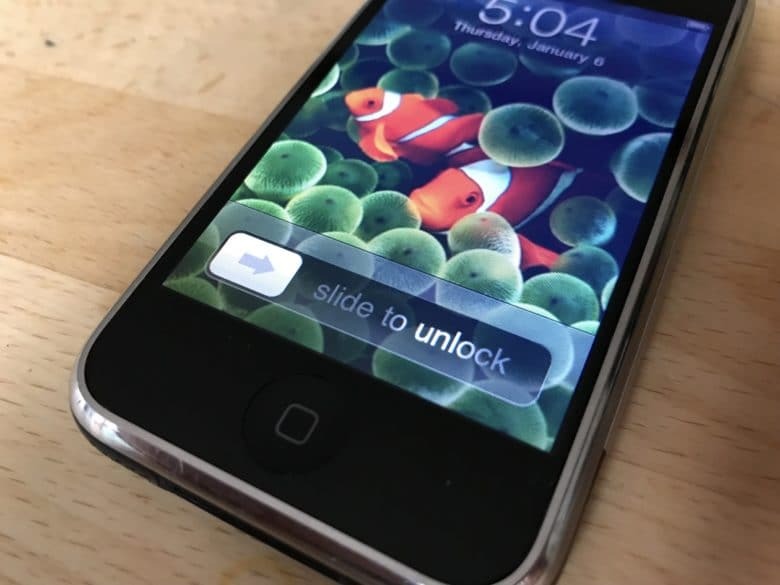 Slide-to-unlock is one of the iconic gestures of the iPhone. It looks simple, but it was tricky to get right. This an excerpt from Unsung Apple Hero, an e-book about UI designer Bas Ording’s career at Apple. Ording is responsible for a big chunk of today’s computing interfaces, but is little-known because of Apple’s super-strict privacy policies. Hit the link at the bottom of this post to get a free copy of the e-book. One of the key design decisions that Apple’s Human Interface Team made early on while developing the iPhone was to go all in on big, simple gestures. They wanted to make a single, simple swipe accomplish as much as possible. It’s a bit ironic. After investing so much in multitouch technology, which relies on multiple touch inputs, one of Apple’s key edicts was to make as many gestures as possible work with a single finger. Members of the original iPhone development team, Greg Christie, Bas Ording and Brian Huppi talking to journalist Brian Merchant. PALO ALTO, California — The first iPhone “prototype” was strung together using bits of wood, duct tape and some old Polaroid lenses. 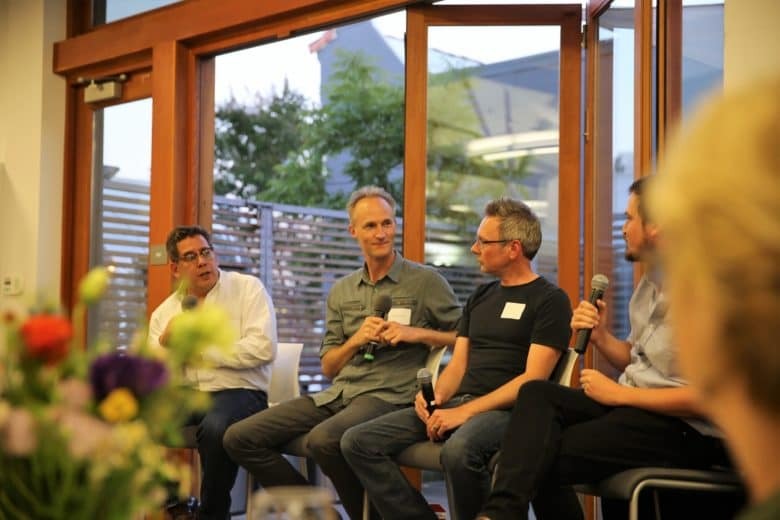 Key members of the Apple team reminisced about those early DIY efforts Wednesday night during a discussion led by Brian Merchant, author of The One Device, a new book about the birth of the iPhone. Former Apple designer Bas Ording created the rubber band effect, which convinced Steve Jobs to build the iPhone. One day in early 2005, interface designer Bas Ording was sitting in a secret, windowless lab at Apple HQ when the phone rang. It was Steve Jobs. The first thing Jobs says is that the conversation is super-secret, and must not be repeated to anyone. Ording promises not to. 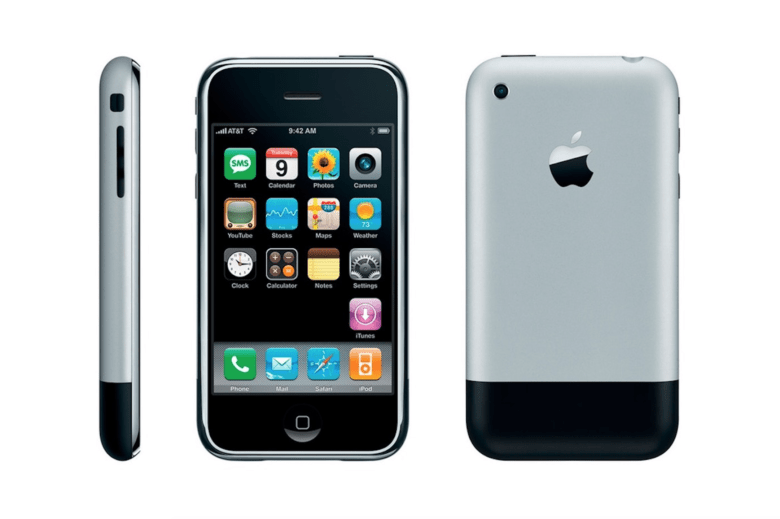 The world had never seen anything like the iPhone when Apple launched the device on June 29, 2007. But the touchscreen device that blew everyone’s minds immediately didn’t come about so easily. 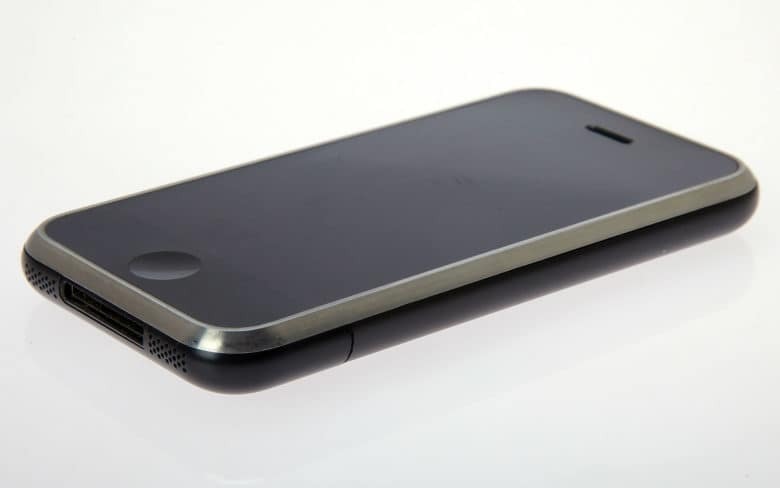 The iPhone was the result of years of arduous work by Apple’s industrial designers. They labored over a long string of prototypes and CAD designs in their quest to produce the ultimate smartphone. This excerpt from my book Jony Ive: The Genius Behind Apple’s Greatest Products offers an inside account of the iPhone’s birth. The design team behind iPhone OS. The design team behind the original iPhone’s software reunited to celebrate its 10th anniversary this week. 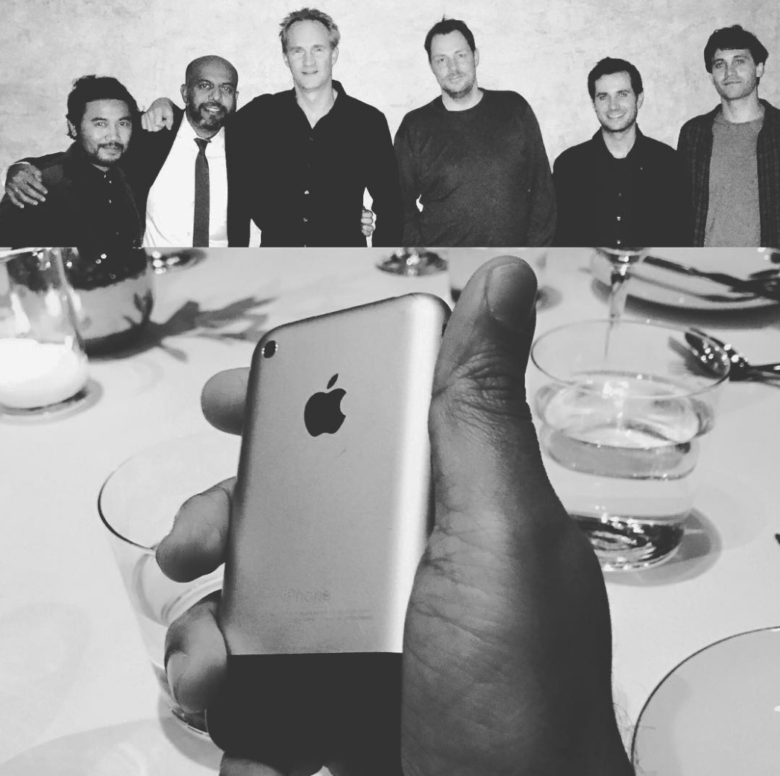 Imran Chaudhri, who still works at Apple, posted the photo above on Instagram. He’s pictured alongside Freddy Anzures, Bas Ording, Marcel Van Os, Steve Lemay and Mike Matas. This week saw the publishing of one of the iPhone’s most recognizable patents. 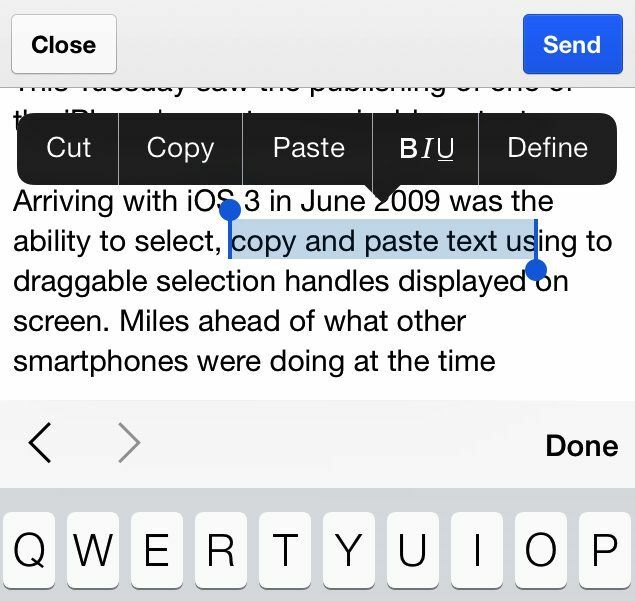 Arriving with iOS 3 in June 2009 was the ability to select, copy, and paste text using two draggable selection handles displayed on screen. Miles ahead of what other smartphones were offering at the time, Apple’s solution was a neat way of transferring to mobile a tool that was a key part of the personal computer user experience. To celebrate the publishing of this historic patent, Cult of Mac spoke with one of its inventors, user interface designer Bas Ording, about the development process.